Size: 8 3/4 x 13. inches. Title: A New and Correct Map of England & Wales From the latest & best Improvements. Engraved for Millar's New Complete & Universal System of Geography. 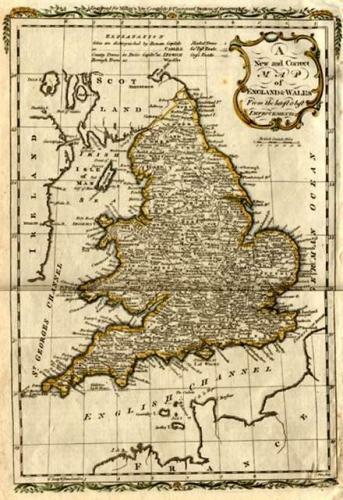 A simple and attractive map of England and Wales with good detail and a fine engraving.